This video presentation represents a culmination of Animal Wisdom class studies from 2002 - 2004. 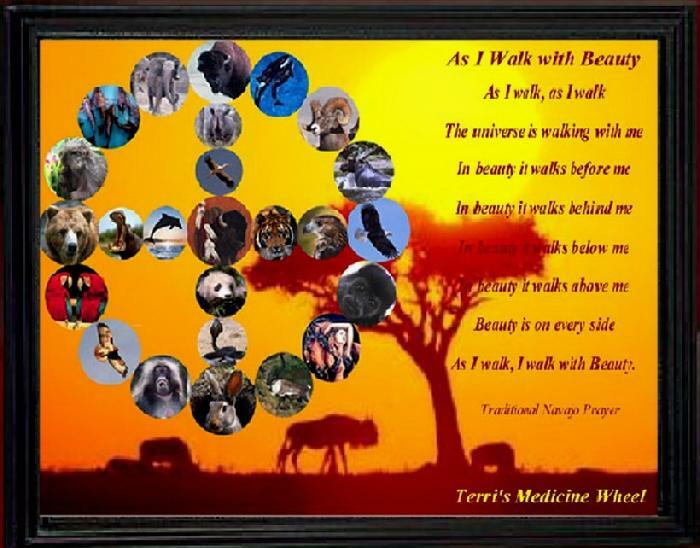 We took one animal per month and spent a month studying the special medicines of each individual animal totem, their unique position within the Medicine Wheel circle, and how that energy showed up for us in our daily lives. We also received personal channeling from the ancient causal plane entity known as Michael, who has put forth a body of channeled information called The Michael Teachings, on how that animal essence came to hold that particular position for each student. This is my very first video montage project, which I originally created in November of 2007.